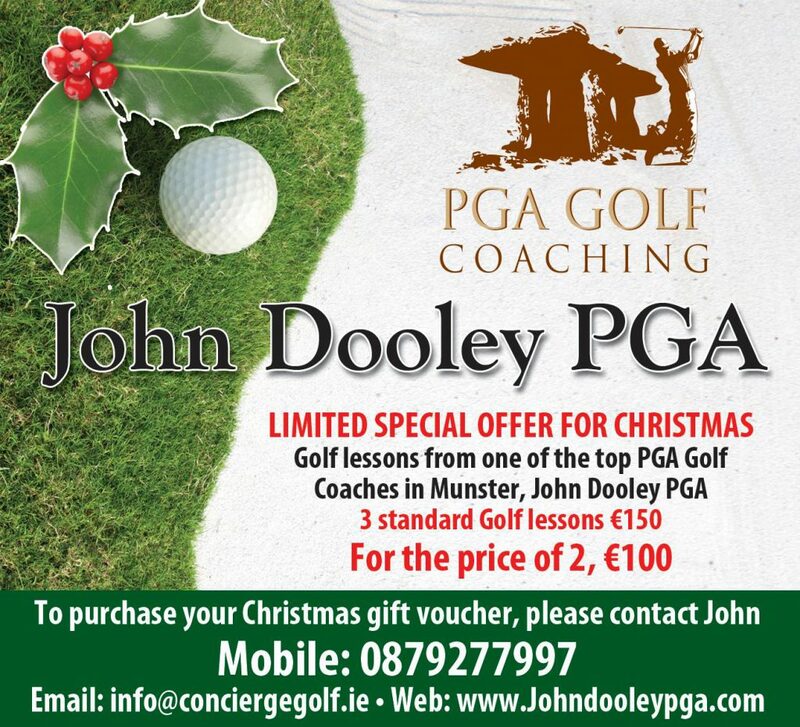 Christmas Golf Lessons Cork and Play better Golf with John Dooley PGA. Contact John today to purchase golf lesson vouchers for your loved one for Christmas. I offer one to one golf lessons at €50.00 per 30 minutes golf session or 3 x 30-minute golf lessons for the price of 3 at €100.00. I can post the voucher to you asap. Also, we can take payment over the phone or I can send a payment link to your smartphone. Finally, I hope you enjoy playing golf in Cork for 2017. Most of all, happy Christmas from John Dooley PGA.